On Thursday's Backchat, privacy laws. A video featuring celebrities Andy Hui and Jacqueline Wong filmed kissing inside a taxi has sparked a range of responses. Many companies, and even government agencies, have released adverts slyly alluding to the incident, and Andy Hui's tearful press conference. But its still not clear if anyone has broken the law - the taxi driver who filmed the couple, and then reportedly sold it to Apple Daily? The newspaper for posting the video online? Are such cameras allowed in any case? Should there be guidelines on filming inside taxis? Are the memes just a little cheeky, or bad taste exploitation of a marital crisis? After 9.20, how to restore Notre Dame in Paris. 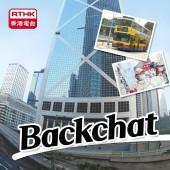 Leave a message here, or email us at backchat@rthk.hk, or call us after 8.30am on 23388266.